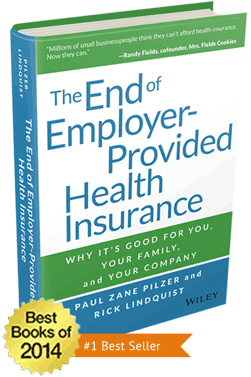 The End of Employer-Provided Health Insurance is a comprehensive guide to utilizing new individual health plans to save on health insurance. This book is written to ensure that you, your family, and your company get your fair share of the trillions of dollars the U.S. government will spend subsidizing individual health insurance plans between now and 2025. You will learn how to navigate the Affordable Care Act to save money without sacrificing coverage, and how to choose the plan that offers exactly what you, your family and your company need.